This summery salad would be great to take to a picnic or barbecue. It will please all eaters alike. 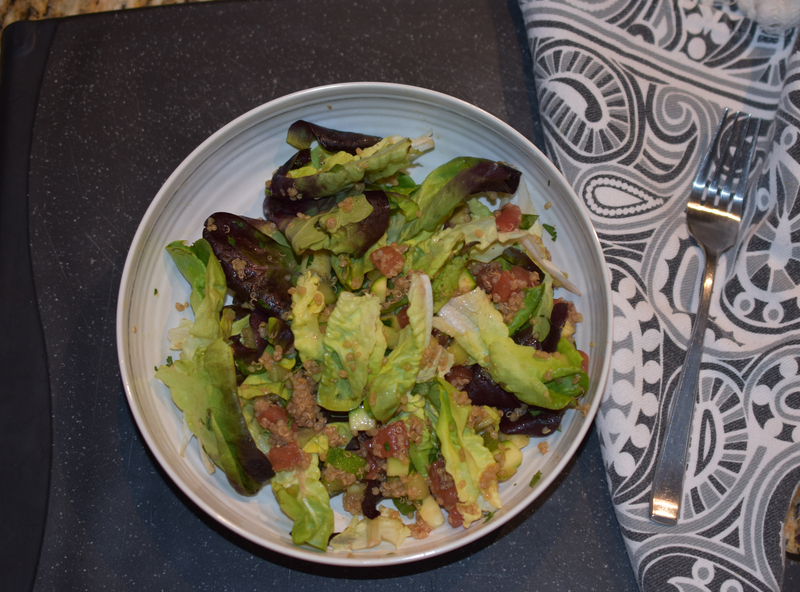 The salad is loaded with all different kinds of textures and flavors. 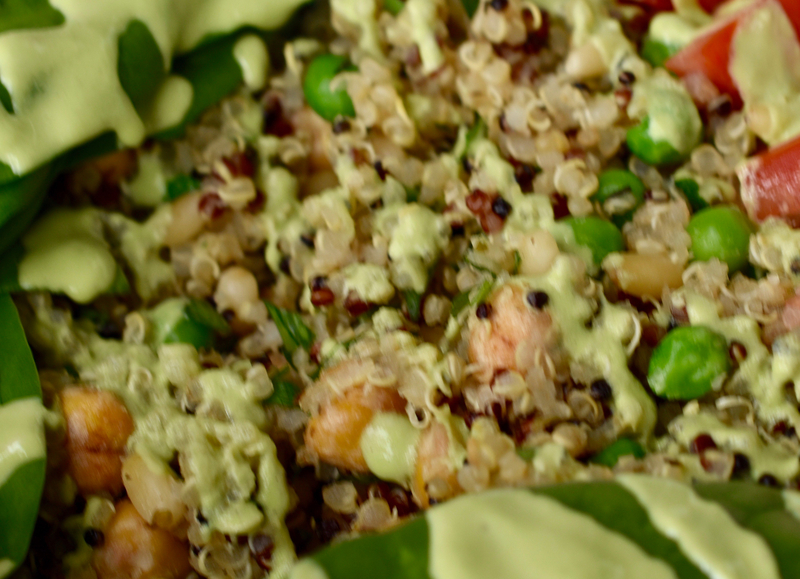 Freshness from the baby greens, sweetness from the strawberries and sweet peas, little pops from the cooked quinoa, creaminess from the cannellini beans. 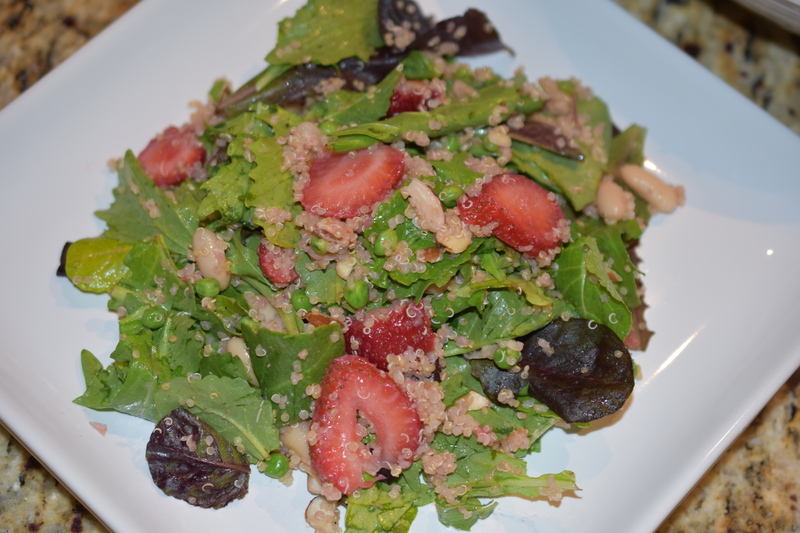 Oh, and do not forget the crunch from the sliced almonds and the extra strawberry flavor in the vinaigrette. The vinaigrette reminds me of strawberry lemonade. It is colorful and inviting whispering seductively to all to come and partake. In a large Dutch oven bring quinoa, water and all-purpose seasoning to a boil. 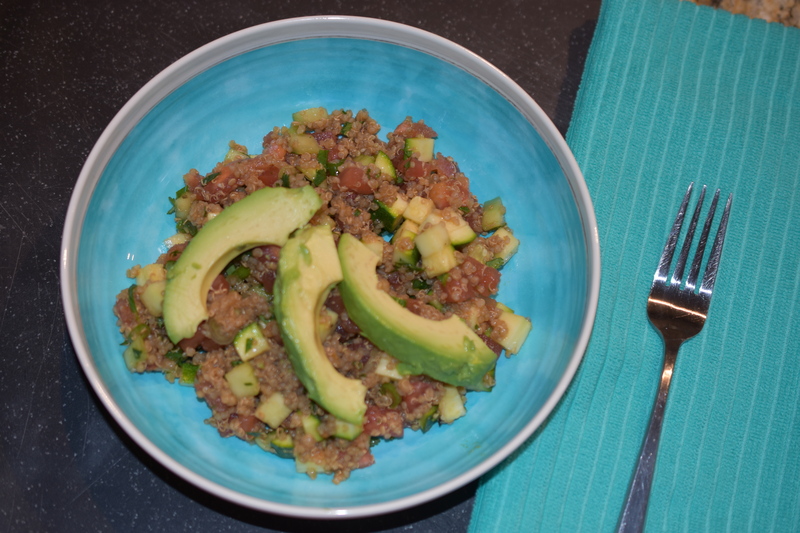 Reduce heat and cook until water is absorbed and quinoa looks like it has little rings. Remove from heat and let cool. Fluff quinoa with a fork. 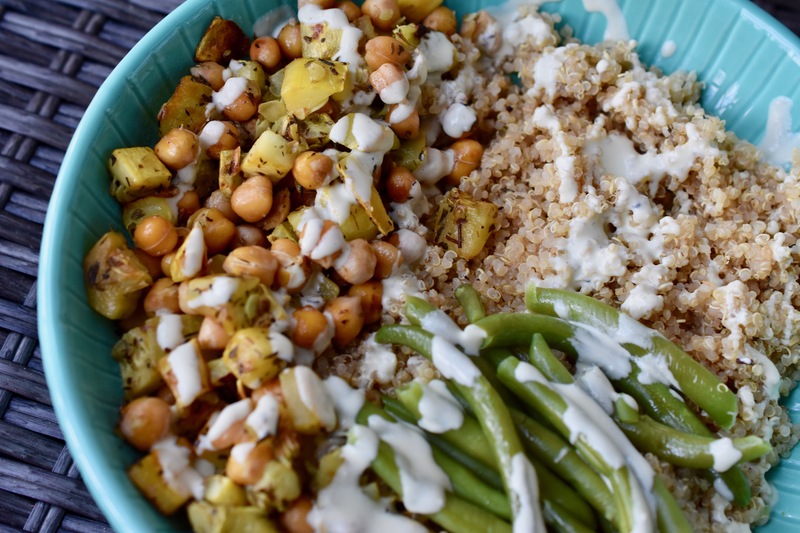 Assemble all ingredients and gentle toss together in a large bowl. Roasting vegetables is probably my favorite way to cook veggies. I can roast a large amount of different veggies at one time. By cooking the veggies this way I save time later in the week because most of the work is all done. 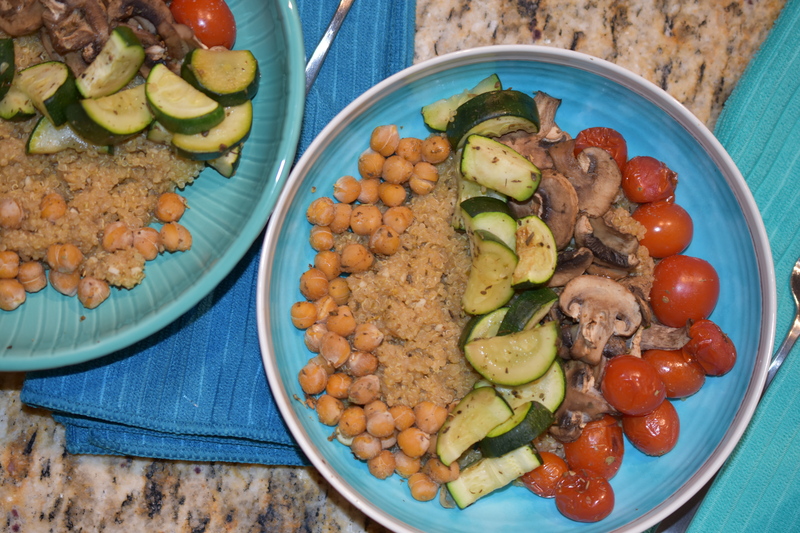 I made a big pot of quinoa and added the veggies to complete the meal. I will have plenty veggies and some quinoa leftover to do with as I wish for another meal. I will share that post another time. In a large dutch oven add quinoa. Toast quinoa over medium heat. This could take up to about 10 minutes if your quinoa is still wet from rinsing. Note: I like to toast the quinoa to develop and intensify the nutty flavor that quinoa is known for having. Add vegetable broth, all-purpose seasoning and garlic. Bring broth to a boil. Reduce heat to a simmer and cover pan. Cook until the quinoa looks like it has burst open and you see little rings. Add the zest and juice from the lemon to the quinoa and stir. Preheat oven to 425 degrees. Line two separate sheet pans with parchment paper. Note: I learned that you do not want to put two wet vegetables on the same pan to roast. Too much liquid releases between the two vegetables. You can see this with the zucchini and mushrooms. Next time I would roast them with other vegetables separately. Evenly spread out veggies onto the two sheet pans. Sprinkle 1 tbsp of all-purpose seasoning over vegetables on each sheet pan. Roast veggies for 10 minutes. After 10 minutes, stir the veggies on each sheet pan. Also, switch the sheet pans positions and roast for another 10 minutes. Eat. Serve. Enjoy. Let your health start in the kitchen. Note: The recipe for the all-purpose seasoning is in my basics section, or you can purchase it already pre-made at my store. 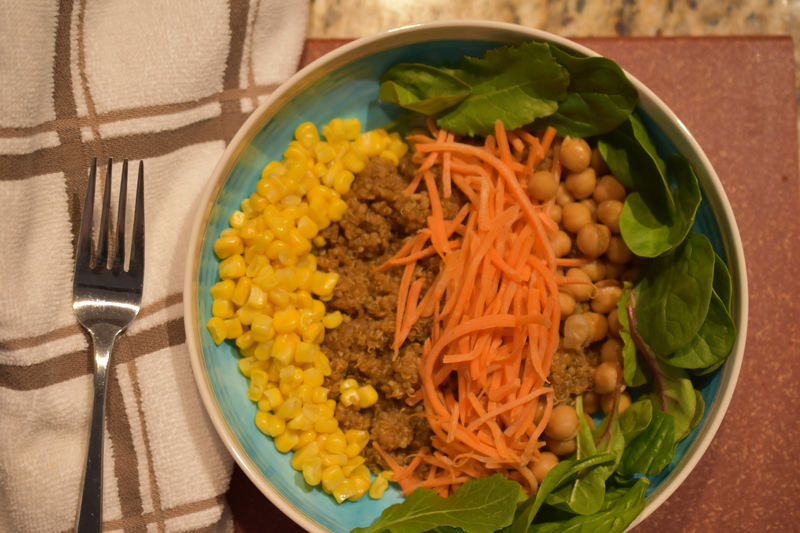 I recently posted a Quinoa and Salad Bowl. This is a bulkier version of the original recipe. 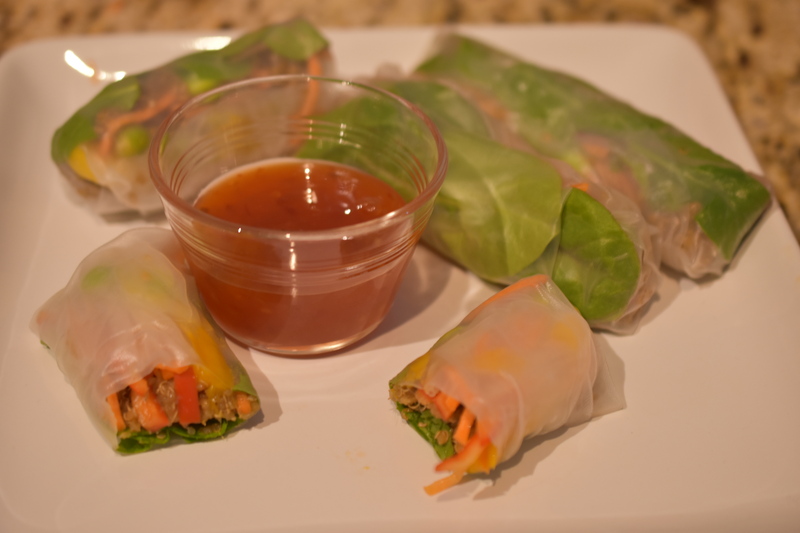 By adding the greens the nutrients are bumped up and it is a little more filling. Both of those things are big pluses to me. I always feel nourished when I eat this salad. Toss together ingredients so that they are well distributed. There really is no need for additional dressing, but you could add some if your heart so desires. This is one of my favorite salad bowls to make. 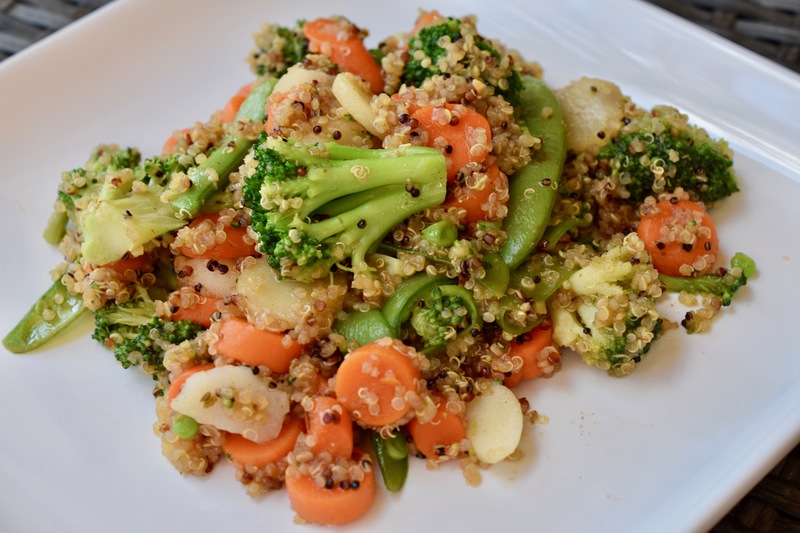 It has the protein and heartiness from the quinoa, yet the freshness from the chopped veggies. The avocado is nutty and creamy all at one time, and besides it is avocado. What is not to like about an avocado – nothing. If you want to bulk this up you could add some greens, and it will fill you up with healthy goodness. Note: This is so easy and quick. I like to make this the night before or in the morning so that the flavors will meld together. 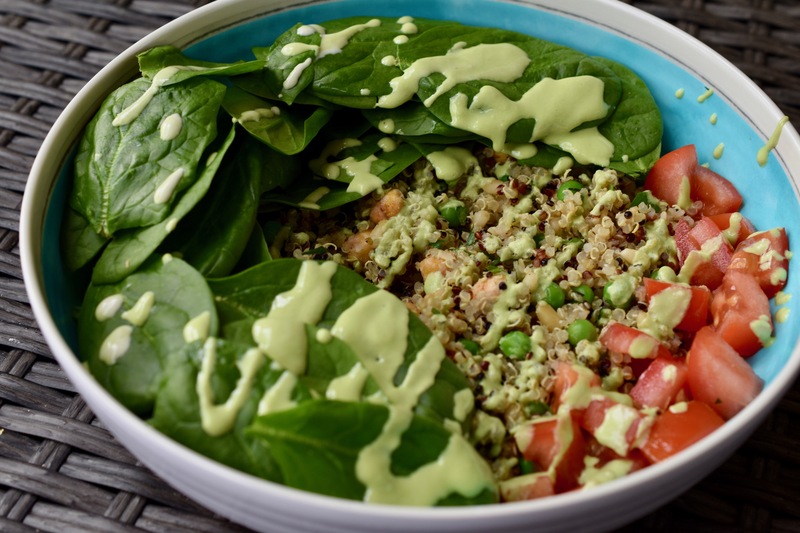 Combine all ingredients into a bowl (except avocado). Stir and chill in the refrigerator.